Draufsicht consists of two film teams: Draufsicht Bamenda in Cameroon, and Draufsicht Berlin in Germany. When we work together on films, we call ourselves Draufsicht Global. With a distance of over 5000km between the two teams, working together is not always easy. That’s why we visit each year to produce documentaries and short films together. 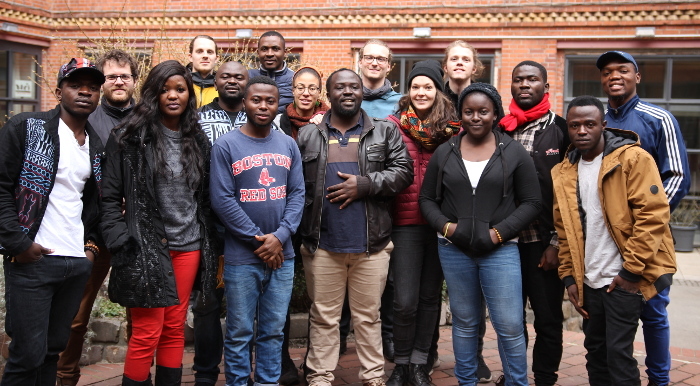 From 12 March to 1 April 2018, a group from Draufsicht Bamenda was a guest in Berlin. Together we thought about what contributes to inequality in our societies and what a world could look like in which opportunities are more evenly distributed. The focus was on the Sustainable Development Goals (SDGs) and in particular SDG No. 10 “Reducing inequality within, between and within states”. Three fantastic films have been made during these three weeks! From 11 – 31 March 2019, Draufsicht Berlin will visit the team in Cameroon. Current information about the upcoming encounter journey and glimpses behind the scenes can be found on Facebook, Twitter and Instagram. In 2015, the United Nations adopted a total of 17 goals for sustainable development, which are to be achieved by 2030. The so-called SDGs (Sustainable Development Goals) are responsible not only for the Global South, but also for all countries in the world. Whether in Germany or Cameroon, the implementation of the SDG should enable all people to live in harmony with nature, in peace and prosperity. No one should be left behind. But how realistic is such a world? And who does the SDG care at all? The agenda was adopted by the world’s heads of state and government, but the goals are not binding under international law. Whether on a global level, in comparison between Bavaria and Meck-Pomm or simply on a walk through Neukölln. Inequality is everywhere. People have very different starting conditions in their luggage when they embark on their journey through life. 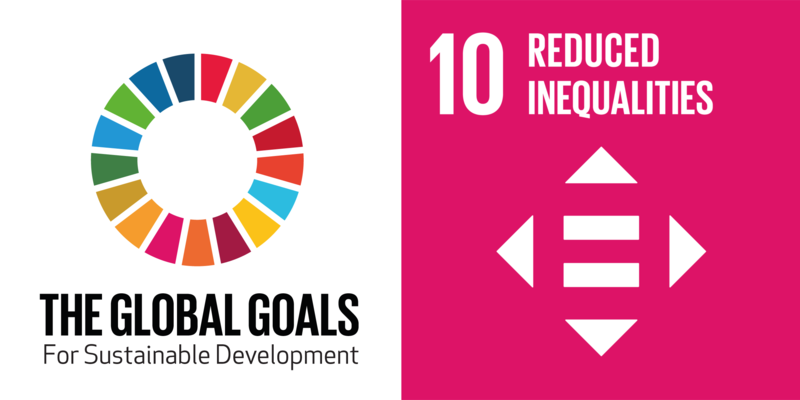 SDG 10 therefore focuses on reducing inequality. Together as a Draufsicht Global and with the support of “Weltwärts Begegnungen”, we want to take a closer look at this goal and above all look at what contributes to inequality in our societies and what a world could look like in which opportunities are more equitably distributed. Draufsicht Global is funded by ENGAGEMENT GLOBAL with funds from the German Federal Ministry for Economic Cooperation and Development. The programme supports projects that aim to develop and maintain the intercultural and global competencies of the participants and thus promote global citizenship. The funding line enables the project partners to establish long-term working relationships in which they are equal partners, to build up the expertise of information brokers and to strengthen the exchange structures of youth groups. Since the projects are intended to promote global learning, participants are given a comprehensive picture of the partner countries involved as well as of the Global South and the Global North.